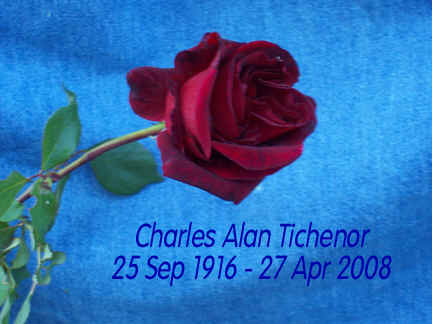 Charles Alan Tichenor, 91, passed away peacefully on Sunday evening April 27. He had been a resident of Bishop, California for three years. Born in Portland, Oregon to Charles Francis Tichenor and Esther Virginia Eagle, he spent a carefree childhood in Oregon and enjoyed fishing and scouting where he graduated from Franklin High School in 1934. His education continued in Illinois, where he graduated from Wheaton College in 1939, and married Ella Marie Westley. They moved to Philadelphia and he earned a Bachelor's and Master's Degrees in Theology in three years. He used a Stevenson Scholarship to continue studies in Semitics at the University of Pennsylvania. He taught Hebrew and Old Testament History through 1945 and then continued graduate study at Dropsie College for Hebrew and Cognate Learning, receiving his PhD in May 1948. He was ordained a minister in the Orthodox Presbyterian Church, later transferring to the United Presbyterian Church where he was minister in Aledo, Illinois. In 1952 he became chaplain pastor of the Protestant Fellowship among the employees of the Arabian American Oil Company in Dhahran, Saudi Arabia (ARAMCO). He was there for five years and then relocated his family to Davenport, Iowa where he was minister at the United Presbyterian Church. In 1960 he obtained a position as History Professor at the Lebanon - Haigazian College, an Armenian college in Beirut, Lebanon for three years. He was the Assistant Headmaster and Chaplain at the American Community School in Beirut until 1967 when the Six Day War forced their return to the United States. Dr. Tichenor was a Professor of History at Allegany Community College until his retirement in 1979. He has made many friends around the world during his years of travel, and enjoyed corresponding with them. His wife, Ella, preceded him in death in 2003. After relocating to Bishop while living with his neice, Ruth Nielsen, he wrote his memoirs, much to the delight of his friends and family. He is survived by sons Peter Tichenor and his wife Eileen Hadidian of California, Mark Tichenor and wife Mary Lazier of Canada, Samuel Tichenor of Canada, and daughter Kaaren Patton of Maryland; grandchildren Thorsten Tichenor and wife Julie of California, Melia Tichenor of Oregon, Aaron Kolezar and Luke Kolezar-Green and wife Ruth, Soleil Main, and Rowan Leif Tichenor of Canada, Hillary Norton and Jessica Ann Norton of Maryland; and great grandchildren Daniel Tichenor and Sophia Tichenor of California, and Riley Ashton Scarlett of Maryland. unused railroad tracks outside of Philadelphia, picking blackberries along the way. We enjoyed his stories and his laugh. while he did the crossword. I thought he was crazy, but very amusing. Alan was always a favorite uncle to us and our kids. We enjoyed visits on both coasts and his stories. without meeting him, though the hope is still to meet. Alan and his wife, Ella, entered our married lives in the first three years. They guided the development of our family through the births of our two children. senior member of the faculty, Alan took us under his wing. need the higher incomes (as they begin their lives and careers). Needless to say, his perspective was not shared my many senior staff. (he, the ever insightful and optimistic guide). remain with us through their investment of themselves in our lives. like King Farouk, that is, eating a very big wonderful dinner. bus stop and jumped out saying, "Great! I can practice my Hebrew!" School at Beirut. We join all others in conveying our sympathies to the family. Finally, we are very grateful to God for this one good life. I can remember my Gramps was always full of wonderful stories. He was such a teddy bear of a grandpa. As a kid I looked forward to him visiting us in his old Chinook camper after his road trips down south. Wonderous to have just had a great visit with CAT just over a month ago in Bishop. A fine farewell! and I have never forgotten the way it touched me. Dr. T was a larger than life figure in my early memories of Beirut. Always a friendly figure that seemed to hold many stories and much laughter. Somehow, he just made you comfortable to be around. I was so sorry he & his family didn't return after the June war. of Dr. T giving us a warm and familial welcome, right off the boat. A great life lived in service to us all. I miss my Grandpa greatly! He was an inspiration to every person he crossed paths with. I am very proud of him and glad he is back with Grandma where he belongs. Dr. Tichenor was opposed to me becoming a boarding student at A.C.S. for the year 1967-1968.
same position as Dr. Tichenor, I probably would have opposed my continuation at A.C.S. as well. I got in anyway but worked hard all the next year just to prove him wrong. he took it upon himself to step in when he saw something that he did not find was right. In this context, I would like to share the following experience with his family and friends. my father had been forewarned by Jordannian friends that a war was about to break out. my diploma. Consequently, I was able to start college the following September. Thank you again, Dr. Tichenor. You are not only fondly, but also respectfully, remembered. without regrets. My condolences to all the Tichenor family. A friendly neighbor when we moved to the Highlands senior mobile home park in Bishop, Ca. be missed, but his life touched many and those memories will endure. to the multi-cultural environment of Lebanon. My best wishes to all the family. has been. This friday at DPF (Dhahran Prostestant Fellowship) the flowers will be in his memory. and a strong positive influence in my life. in Bahrain in 1955 and baptized me in 1957, just weeks before leaving Arabia. It was great visiting him in Bishop in '05 and '07. He was still as sharp and entertaining as ever. Rest in peace, Alan! Ella attended the UU Fellowship of Cumberland and sang with us in the "occasional singers"
about. "Ah, Yes" he said. Much gold came from Tichenor's valley of the "Gold bearing winds." we learned to love his gentle humor and great wisdom. Thanks, Ruth, for keeping us in touch with this great gentle man. I knew "Tich" from Wheaton College days and when I went to Westminster, I found him there. but look forward to seeing them both soon around the Throne. We first heard of C.A.T. through our aunt Chrissie (Bishop,CA) who came to know C.A.T. on others and through his book. heart attack and died. At his funeral, Alan eloquently eulogized his best friend. 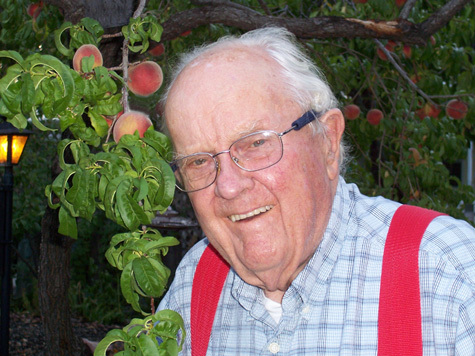 We simply knew him as "Unc" in Bishop, CA and loved his outlook and knowledge. with its contents and filled with admiration of its author. He touched so many lives. Our hikes in his company.......unforgettable. He's part of my best years and memories. Rest in peace.